Thomas Duveau joined Mobisol in June 2013 and is now responsible for strategy development. 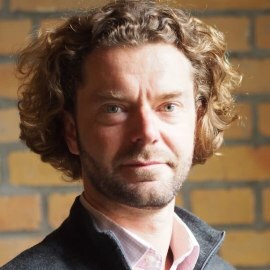 Prior to participating in the Solar revolution, Thomas worked as an officer for renewable energies for WWF Germany from 2008 to 2013. Prior to that, he served as Vice President at Global Capital Finance (Investment firm with a focus on renewable energies) from 2005 to 2008. From 1997 to 2004 he worked in the Corporate Strategy Department of REUTERS in Germany, the UK and the USA. Thomas graduated in Economics, Econometrics and environmental management.